With so many possibilities, it can be tricky to picture the very best way to apply these interactions in your own courses. And that’s what this week’s e-learning challenge is all about! 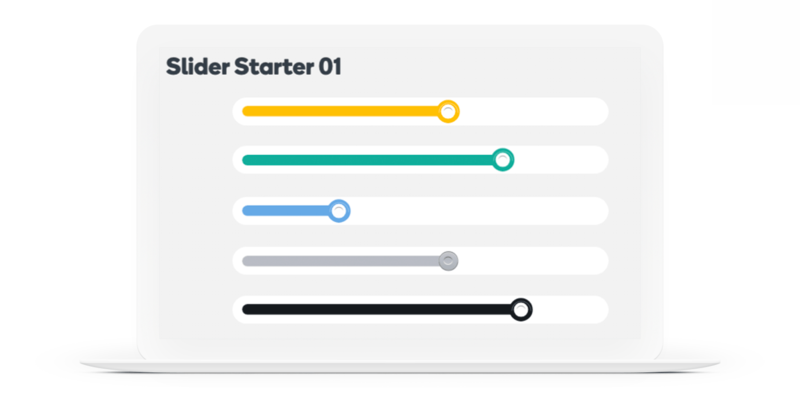 Here's a free slider pack that features five different designs using Storyline's built-in theme colors. 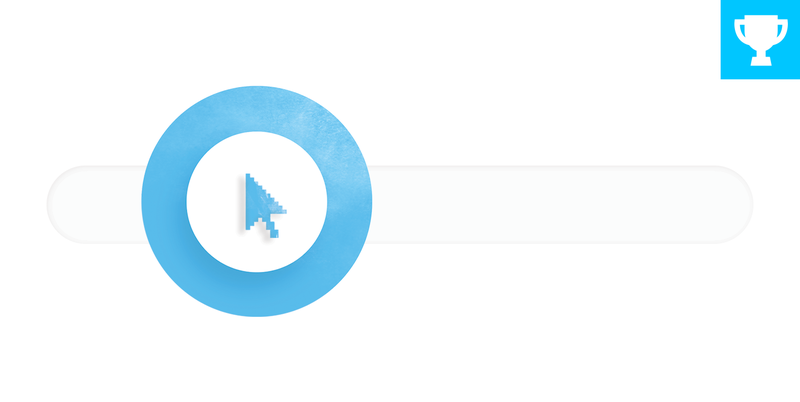 This week, your challenge is to share a new slider interaction. If you’re brand new to Storyline, try reworking one of the slider templates in the downloads section. For those of you with some slider experience, try sharing something more complex like combining sliders to create the parallax effect. For this week’s challenge, we’re asking you only share new examples. You're welcome to rework an earlier example or come up with something entirely different. Thanks for the heads-up Tracy, Unfortunately, the server is located on the other side of the planet where during the rainy season the internet connection slows down, which causes the long response time. Please try again later. Highly appreciated if you let me know if the problem persists or not. This is so cool Rambo. Hi Rambo, the link worked for me. Nice entry! No issues accessing. I liked it too! Monarch Butterfly Slider Demo: https://chilp.it/fd31031 Download: https://chilp.it/8290b85 Hi All, Here's one I with some recycled art from a recent drag and drop challenge. It shows the stages of Monarch Butterfly metamorphosis using a slider--I think it works better than the drag and drop demo I did. I have a bunch of layers, motion paths, audio, and states being controlled by the slider. This was a nice, quick demo for a rainy Sunday morning. Have a good week! This is gorgeous, Jodi! And thank you for sharing the story file! Thanks so much for the Illustrator file, Jodi! :) And I'm sure you can pull anything off! I agree, a beautiful presentation. Thanks for sharing. This is really great Jodi. I love your style. You are an inspiration to me. I would have never have thought of using a slider like that. Thanks for posting it. I think it looks great and just in time for football season. Great job! Hey Shane - I can relate, its my first time here too! Love your take on the 5 dysfunctions of a team! Hope to see more of your work! Nice one Dan. Thanks for including the source file, it's always good to see the technology behind the magic. The puns are strong with this one. Haha, it made me smile! Love how you use the slider to select an answer. Very clever. Wow....this is really cool! I like how smooth you got the arm to move back and forth. Very creative Mike and I liked the use of the magnifying glass on the slide. This is amazing! You are VERY talented! Thanks D and Lu. I'm glad you like it. Mike, This is a great management training game. Your spyglass slider is unique and a fun way to meet the team. As the spyglass is moved a team member appears in color with the remaining team members in black and white. For me this helped to focus on the individual team member. A great use of the slider! Thank you for the feedback on your experience using it. Very helpful to me. Hi Kerianne, it might just be me, but I wasn't able to get your course to play. I clicked the play button and nothing happened. I would love to see it. Hello Lu, Thank you for the heads-up. Try using Firefox, that browser seems to works best. Please let me know if it still won’t play. Here is my submission to this challenge. 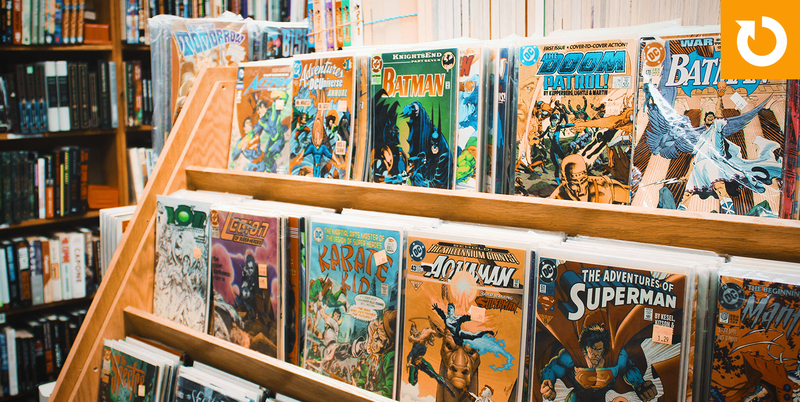 Actually it is an update of my latest comic book template. The Slider sits on a slick pop-up screen that shows some additional information about the course and is used to navigate through the course. The link below will open my latest post in our community. This page will show you all the updates and the download. https://community.articulate.com/discussions/building-better-courses/free-comic-template Cheers! https://cloud.scorm.com/sc/InvitationConfirmEmail?publicInvitationId=81d8848a-25d4-4fd2-9018-c0f089e189b2 can you beat my formula? Fun--I never would have thought to use a slider that way. My go-to device would have been a button. Thanks for sharing it. Wow, this is incredible. I would love to know how you did the slider that reveals the fish. Thanks for posting it--for me and Lu can you share how you built the slider? Loved the art too. OMG This is so cool. I am stealing this idea...at least try to copy it. Not sure if I can do it, but I will give it a whirl. Super creative and the graphics are wonderful, even the background wallpaper! Love this! Would def like to know how you created this. Do you mind sharing the source file? Love to learn how to do the image compare slider as well. Fantastic work! This is fantastic! The title font w/ fish components, the repeating HTML background image, the slider, etc. It all works together very well. I don't know how you do the slider, but hope to learn. Any tutorials on this you can recommend? Hey Dana - this is SO COOL! Very creative and elegant! I didn't get parallax either, so I just punted. Love what you did! This is very clever. I especially like the steam and leaf graphic on the top step. Thanks Mike. It's a graphic I found on Google. I like that you animated the graph of the growth of bacterial populations. That seems appropriate. This is an awesome resource. Thank you for sharing your SL file!